It is common for us to receive a lot of calls from Gowanus residents for security camera, alarm and surveillance monitoring systems. We all know that crime in Brooklyn is part of the territory. Burglary and break-ins are especially prevalent. As reported by NieghborhoodScout.com, Brooklyn is safer than only 38% of American cities. Your chances of becoming a victim of theft or robbery are greater in Brooklyn than in New York City as a whole. If you’ve got loved ones in Gowanus, you want to do anything you can to ensure that they’re safe. Most Gowanus homeowners put in new home security systems for the same reasons. These purposes include the protection against theft, a deterrent to intruders and to check on caretakers, staff and babysitters. Which are the leading security cameras for Gowanus properties? We hate to play favorites, but from years of experience, research and servicing, we find there are three makes and models that set themselves above the rest. Our favorites for dependability, stability and usability are Bosch, Sony and Samsung. For their efficiency, these are the three primary brands we install for our clients. We maintain and support other makes and models, but check with us first. IP or network cameras have become popular among Gowanus home owners. They permit monitoring from any device and can integrate other options such as remote monitoring, wireless technology and multi-viewing. You’ll be able to monitor your property from anywhere if you have a computer or other hand held device with internet access. Closed circuit or CCTV cameras have been around for a while are very versatile. Recent improvements in the technology of CCTV cameras have made them a favorite among home owners and business owners alike. Supplying a wider surveillance area, dome cameras have grown very popular with their slick style and abundant features. These are the gizmos you see in Atlantic City casinos. The dome glass is often shaded, concealing the camera position. If you’ve been to Atlantic City, it’s likely you have noticed the “eye-in-the-sky” dome cameras just above your blackjack table. Fake systems are often employed as primarily deterrents and are not much more than the camera covering. Dome camera housing is often used for fake cameras. These devices are typically used by individuals who cannot afford a genuine security system, yet still want a deterrent for would-be intruders. They come with blinking lights and are indistinguishable from legitimate cameras. Designed to be more durable, outdoor systems are usually housed in a case that will help them hold up against the harsh East Coast weather. The lenses are frequently made out of fog resistant glass so moisture and humidity doesn’t impair the scene. Generally, owners will have them pointed in one area and possess limited range. A few of the more expensive cameras can usually rotate their direction, but the majority of cameras are one-directional and need to be moved physically to change angles. Infrared technology or green low light vision systems make use of minimal light to enable you to see clearly in almost total darkness. The versatility of these models have improved considerably recently and now many of them function in both day and night, providing you 24 hour monitoring capability. Among the most popular installations for our customers are wireless systems. These systems are excellent options to avoid long cables, drilling and damage to your house. Many homeowners ask us about secret cameras. We’ve put in several throughout the neighborhood. We generally suggest that your cameras be obvious to everyone, however. It’s generally better to avoid theft and unwanted entry whenever you can. Units such as auto sensors and motion detectors can be added to your home security camera system to help save energy and digital storing space. The recording starts when movement is detected. Talk to your security expert to determine which configurations are best for you. How difficult is it to operate security camera systems? They have become less difficult over the last few years even with their cutting-edge functionality. Our technicians will walk you through every step of using your system until you are totally comfortable operating it on your own. We strongly recommend you do not position your cameras yourself. We frequently come across jobs where residents have bought their security cameras at Walmart or Target in order to cut costs, but many times, this equipment is not set up adequately and does not operate the way they are designed to. We don’t fault anyone for wishing to save money, but home security is just too critical not to be done properly. Seldom are these solutions suitable for Gowanus homes. Use a professional installation expert. We’ll help you avoid costly problems down the road. How efficient are camera networks? Just how well do they work? The office of Homeland Security found that video security cameras have been shown be very effective, as long as they are installed properly and used effectively. Handle the installation yourself and you risk burglars hacking your system and cutting wires. Bad guys patrolling Gowanus generally know what they’re doing and will spot amateur installations very quickly. Once more, look for a competent installation specialist. The loved ones you are protecting are precious to do this on your own. Call M&D at (718) 484-4050. Our technicians are experienced in Gowanus home security installation. We’ll make sure your new camera system is fully functional and that you are confident operating it all on your own. You’ll need to pick color or black and white. Significant savings might be involved, but there may be other concerns as well. The amount of available light in an location could help you make a decision. Dimly lit areas as well as those with a high degree of variable light will usually do better with black and white. Black and white tends to be better outdoors when lighting is not very controlled while color is typically much better for inside systems. This isn’t always the case, however, and you may find instances when black and white units are more effective indoors. Finding the optimum resolution for your monitors is important. The better resolution, the cleaner your images will be. Low resolution can be cheaper, but aren’t good for detailed face or feature recognition. It’s highly important to be sure all your hardware work together. It’s usually not wise to mix brands unless you know which of them work well together. 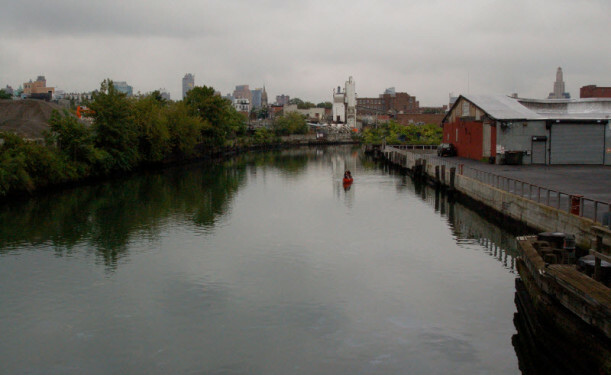 What should I expect to pay for a solution in Gowanus? That’s the only question here that’s hard for us to answer without knowing more information. We’ll have to know some things first such as: What do you have to observe? How many rooms do you need to watch? What is the actual square footage? Do you require indoor or outdoor cameras? How sophisticated do you want your camera system? And how regularly will you be using your security camera system? Don’t worry if you don’t know the answers. Give us a call at (718) 484-4050 and we’ll take you step-by-step through the full process. Helping Brooklyn consumers stay secure and safe is what we do best. Home security cameras are only one way to guard your home from robberies and theft. Different protective measures include installing alarm systems, fitting entry ways with specialty locks and securing all doors, windows and gates. We’ll even secure your garage door if you’ve got one. In fact, allow us to do a comprehensive review of your home or business and we’ll show you what areas are likely to be targeted by thieves. If your building or block doesn’t use a neighborhood watch program, then lead the charge and initiate one. Your nosey neighbors might be the biggest burglary deterrent you have. Lastly, think about getting a dog. They’ll adapt to an urban atmosphere quite easily and are very good protection against the bad guys. For a home security evaluation, be sure to call us at (718) 484-4050.